Our premium gluten free oats start as pedigreed seed planted in oats-only fields. At harvest, Elise testing verifies their purity. Our dedicated gluten free facility and additional Elisa testing ensure their integrity. These aren't ordinary oats. Our Gluten Free Steel Cut Oats are pure. They are grown by over 200 farmers on clean, dedicated oat-growing fields. They plant only "pedigreed" seed stock. Each farm delivery is sampled hundreds of times and tested with an R5 Elisa gluten test to ensure the absence of gluten. Roasting enhances that wholesome, robust flavor you expect. The oats are packaged in our new, 100% gluten free facility and tested for gluten again to ensure their purity. 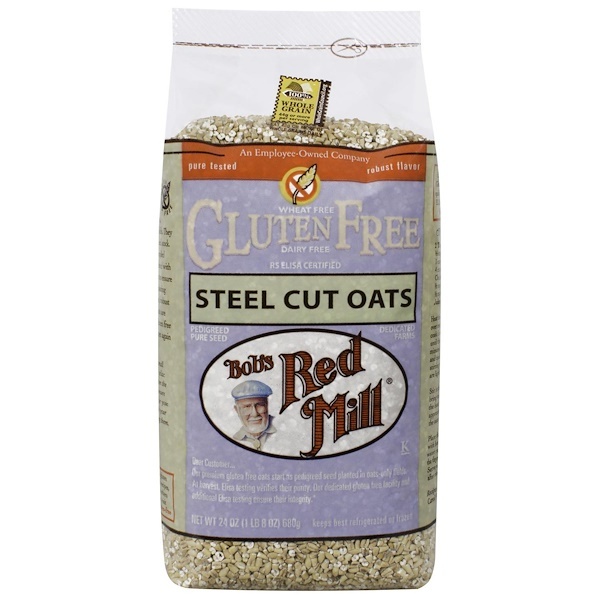 Bod's Red Mill products labeled Gluten Free are batch tested in our quality control laboratory. We use an ELISA Gluten Assay test to determine if a product is gluten free. Bring 3 cups water and 1/4 tsp. salt to a boil and add 1 cup Gluten Free Steel Cut Oats. Reduce heat to low; cover and cook for 10-20 minutes (depending on how chewy you like your cereal). Stir occasionally. Remove from heat and let stand for two minutes. Serves four. Serve with milk, cream or a pat of butter. Add brown sugar, honey or maple syrup. Add fresh or dried fruits or nuts. Adding 2 tbsp. 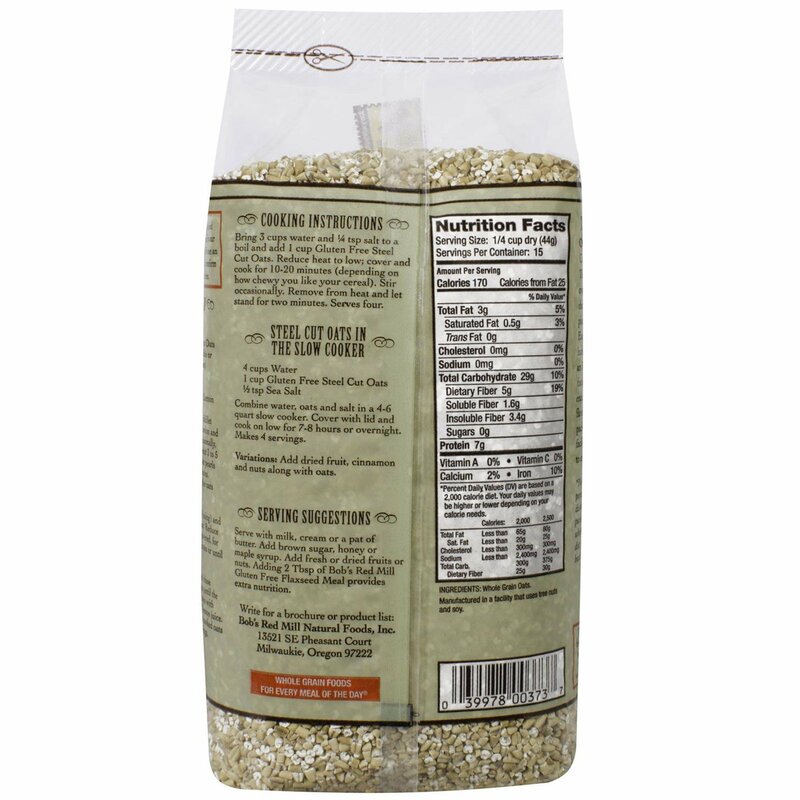 of Bob's Red Mill Gluten Free Flaxseed Meal provides extra nutrition.